Reps tell us that pricing is based on many different factors, but oftentimes those factors are shrouded in mystery. A common belief is that if we just knew how pricing was calculated and where all of the percentages were going, we could fully understand the best rate available to our business, right? Our goal with this guide is to walk you through all of the factors that affect pricing and answer the question on everyone’s mind. Do you ever feel like the deck is stacked against you when it comes to accepting payments for your business? With all of the fine print and legalese in credit card processing contracts, is there a way to make sure you aren’t being taken advantage of as a business owner? Owning your own business means that you need to be an expert in many disciplines of business, and mastering the finance of business is one of the mountains we all need to summit. Accepting payments at a local business has changed quite a bit over the last century. We’re no longer paying with animal pelts and traded goods like barley or leather. Today the most accepted method of payment is a credit card, and most businesses are stuck picking up the tab to pay the credit card processing fees associated with receiving this method of payment. What you’re really involved in is a game that you unknowingly signed up to play as soon as you decided to accept credit card sales for your business. The game started long before you signed up to play, and the rules and strategies were all set before you opened your business. To win this game, you need a complete understanding of the rules, players, penalties and strategies to win in order to get ahead. So, for the remainder of this article, we’re going to talk about credit card processing like it’s a baseball game. We’ll show you which team you’re on, who you’re playing against and how you can hit the ball out of the park and win. In order to win any game, it’s imperative that we understand the parties involved on each team. 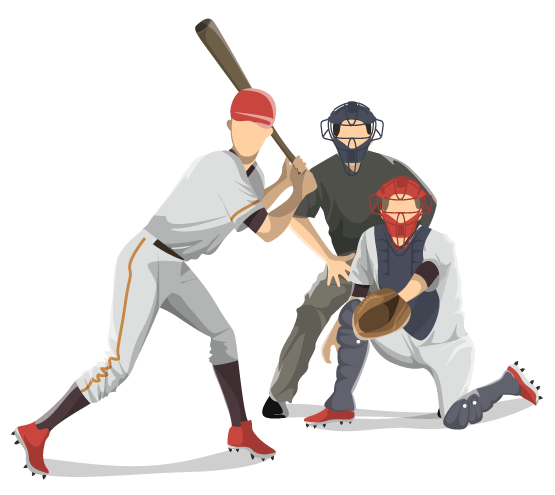 In most games that we’re familiar with, there are two teams, but in the payments processing game, there are many more than two teams involved in the game. Below we outline each of the teams involved and explain what they’re hoping to gain by playing in the processing game. As a business owner, you play a huge role in the credit card processing fees equation. You get to decide which types of payment you accept at your place of business and which fees you’re “willing” to pay (if any). There are merchants that don’t accept credit or debit cards at their place of business. For many of these owners, it’s a simple equation. Accepting credit cards means paying about a 3% fee per transaction, and those kind of average credit card processing rates could kill a business if profit margins are razor thin. These are the business owners who decide not to play this game, and to a large degree are really missing out on higher and more frequent sales. Consumers around the United States use their debit and credit cards for 66% of all payments they make. Making the decision to not accept credit cards means that you’re turning away customers by not accepting their preferred method of payment. It’s also not all gloom and doom if you do decide to accept business credit cards. Consumers are also likely to spend 12 Percent to 18 percent more at your business when you allow processing credit cards as a payment option. There’s nobody else who determines what you’re willing to accept in the form of payment for your business, so this decision lands squarely on your shoulders. Luckily, as long as you’re educated on who gets what, where and when, you can make an educated decision that results in a win for your business. 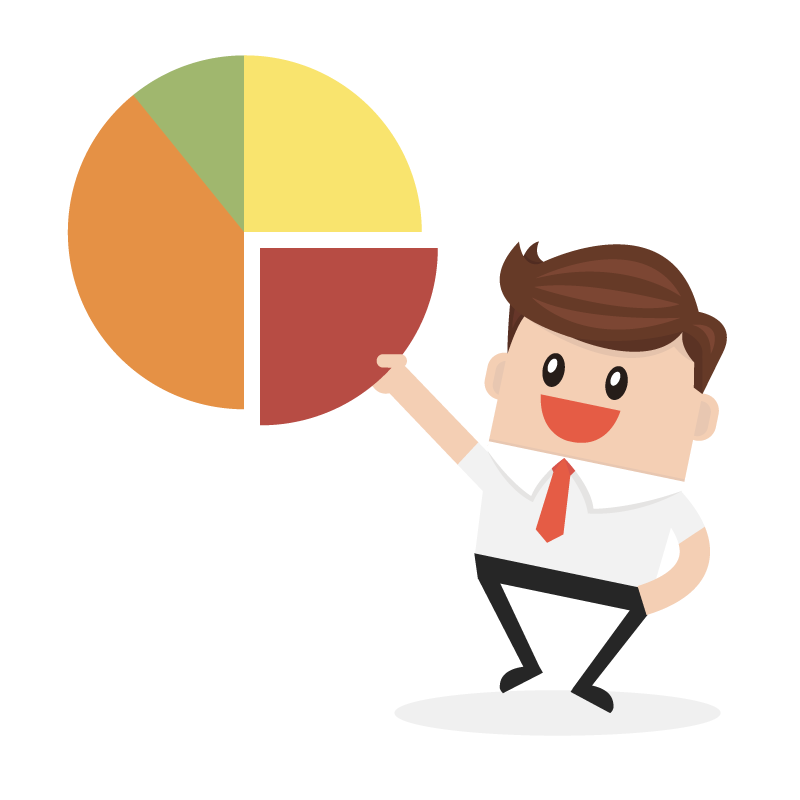 The merchant’s credit score plays in to the rate that the business can get because of the direct tie the business will have with the owner’s personal history. If the business owner has bad credit, it will be more difficult for the business to secure the lowest rates possible. For consumers, payment type is often an afterthought. We all make decisions about which credit card pays us the best reward for using it and we expect to be able to use it everywhere we shop. Most consumers don’t even realize that business owners pay a percentage of their proceeds in credit card processing fees each time they accept a card as payment. If you asked the average consumer how much it costs to accept a credit card as payment, most wouldn’t have any idea. It’s just not something that they think about. For many consumers, it’s an issue of convenience. Credit cards are easier to carry than wads of cash, and since they’re accepted almost everywhere, the consumer always has a payment solution in their wallet. The goal of the consumer is simple. The easiest solution of payment is what they want, no matter what that means for the businesses that they're purchasing from. Consumers expect to present their card to a merchant to purchase goods or services, and then pay back the issuing bank under the terms of their credit or debit card agreement. Consumers don’t think about the costs associated with paying by credit or debit simply because they are being incentivized to do so. Since they’re being paid with points, cash back, gift cards and other added incentives, using a credit card means more for them in the end. Consumers use credit cards because the issuing banks are paying them to do it. This is a key factor in the entire exchange. If we understand that the credit card companies are giving consumers a reward for using their card to pay, we can then see ways that we can implement similar incentives to reduce costs at the point of sale. More on this to come. The processor’s role is multifaceted. Your processor sets up your merchant account and handles all of the credit card processing fees that are to be paid to each recipient. Processors also settle the consumer’s transactions by sending them to the merchant bank. Customer service for all payment details is also provided by your preferred processor. Before you choose your processor, make sure it’s someone you wouldn’t mind a phone call with when you might have a problem. 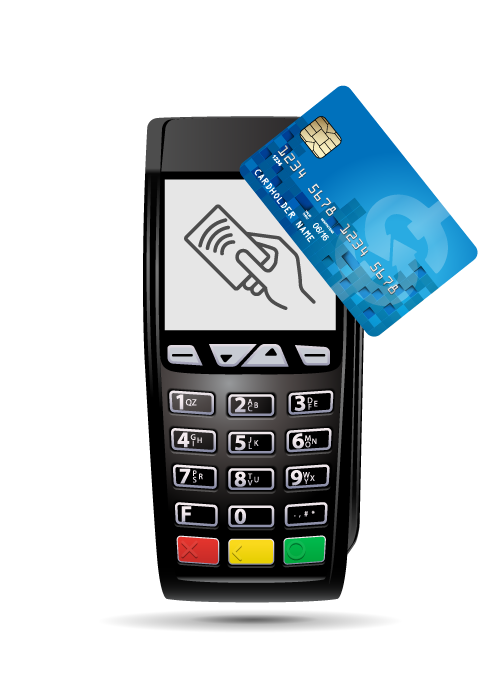 A merchant services provider (processor) also typically provides merchants with equipment and software to accept credit cards. If you have a credit card terminal, you most likely purchased it from your merchant account provider, not directly from Mastercard, Discover or Visa. In return for the services explained above, processors receive a small percentage of each transaction that you process. The average credit card processing fee received by the processor is the difference between what the card brand company (like MasterCard) charges per transaction and the total you pay. If you pay $.15 per swipe and 2.9% of the total purchase in fees, some of that money is used to compensate the processor. It may be $.01 per swipe and 0.04% of the total purchase, but their payment is still coming out of each transaction that you accept a credit card as payment. Processors make a small percentage on each transaction, but they can also make money on processing equipment and software. If you need a credit card terminal, you can expect to pay between $200 and $750 depending on which terminal and functionality you desire. If you’re looking at a point of sale system, you can expect to pay anywhere between $1,000 to the sky’s the limit. The equipment that is used to process credit and debit cards isn’t cheap and is never far away from needing an upgrade. As software needs updated or new card technology is rolled out, the processor’s job is to keep you on top of things at all times. A good example of this is when the United States switched from swiped magnetic cards to chip based EMV cards. It was the job of the processor to help each business owner upgrade their equipment and stay in compliance with the major card brands. There are many processing companies that offer “free” equipment to business owners. If your spidey senses are tingling, and you feel like it could be a trap, you’re right on point. Terminals and Point of Sale systems cost money, and you can guarantee that the processor is going to make that money back and more with processing costs over the time that you process with them. If you’re looking at a company that is offering free equipment, know that they’re making up for the cost of the equipment in credit card processing fees elsewhere. No equipment is ever free in this game, so be wary of companies that over-promise and under-deliver. Usually, free equipment providers charge a lot more for their services by hiding other incidental assessment fees to the fine print in the processing agreement. All processors are underwritten by an acquiring bank, and many processors use the same merchant bank or acquiring bank. In some cases, it’s also possible that the processor is the acquiring bank. The most important thing to understand about the processor is that they exist to serve you. They will be compensated through each transaction, and if you’re not happy with their service, there are 10 others waiting to take their place. A merchant bank is essentially your bank. This is where you have an account for your business. Each bank is a member registered with the card associations (Visa and MasterCard, Discover and American Express) and allow you to receive credit cards as payment. Often referred to as an acquiring bank, they create and maintain merchant accounts that allow you to accept credit and debit cards. In some cases, the merchant bank and the processor are the same institution. When this happens, they would provide equipment and software, as well as take care of customer service needs and all deposits in one place. Banks want you to believe that it is cheaper to do your processing with them. This is a common misconception that many businesses fall prey to. 99 times out of 100 it is not cheaper to do credit card processing with your local bank. Merchant accounts from local banking institutions are usually much more expensive and have many extra added credit card processing fees. In most cases, using your banking institution as your credit card processor is the most expensive solution. The issuing bank is the institution that provides credit and debit cards to the consumer. Contrary to popular belief, this is not the credit card organization, but rather an entity that is sub-licensing the card brand. Just like Lego sub-licenses the Star Wars brand to make model ships, issuing banks do the same for the major card brands. You’ve probably heard of the Quicksilver card that gives consumers 1.5% cash back on all purchases. This card is not a card issued directly from Mastercard or Visa. It’s issued from Capitol One, which is the issuing bank on the card. That’s the organization we’re talking about here. This is the bank that makes the decision if a particular consumer should have the ability to purchase things on credit. 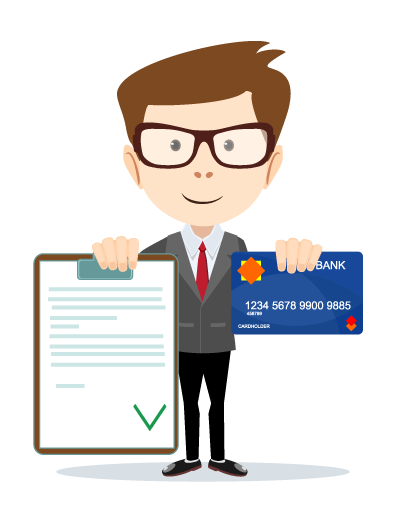 In order to qualify to offer cards from any credit card organization, each issuing bank must meet certain criteria. All issuing banks must be a member of the card association they are issuing for. These card associations (card issuers) include Visa, MasterCard, Discover, & American Express. If a bank is not a member, they simply can’t offer that type of card. The issuing bank gets a percentage of every transaction as well, and the size of that piece is largely determined by the terms on each card that they offer. This percentage can vary by quite a margin in order to cover both their profit and the consumer rewards on each transaction. With a card like this, you’re already seeing 2.5% in interchange fees from just the issuing bank. This doesn’t take into account any margin for the merchant processor. The last contestant involved in credit card processing equation is the credit card organizations. These are well known companies like Visa, MasterCard, Discover, and American Express. There are two types of credit card organizations. Those that issue their own cards and those that don’t. Visa and Mastercard do not issue their own credit cards, but rather allow issuing banks to offer cards using their organization. Discover and American Express on the other hand issue their own cards direct to the consumer. Visa and Mastercard rely solely on the issuing banks to issue credit and debit cards. Processors receive payments for each transaction and handle the back and forth. Credit card organizations act as the clearing house for all of the different card brands. They also function as the governing body for the merchants, consumers, processors, merchant banks, and issuing banks. The primary responsibility of the credit card organizations is to make sure qualification guidelines are met, interchange fees are paid, and as an arbiter for the merchant and issuing banks. The card associations set the interchange rate for all of the different card types. In any game that we play, there is always a set of rules to abide by. In baseball, if the defensive team throws the ball to first base before the runner steps on the base, that batter is out. If a player spits on a referee, he’s ejected. The credit card processing game really isn’t any different. Below, we walk through the rules of the game to help you as the business owner understand how to make sure you’re a player in good standing. A merchant is allowed to impose a minimum purchase on cards up to $10.00. However, they are not allowed to impose a minimum purchase fee on debit cards. Surcharging is illegal in 11 states in the U.S. These states include California, Colorado, Connecticut, Florida, Kansas, Maine, Massachusetts, New York, Oklahoma, and Texas. Accepting any kind of surcharge in these states is a violation of terms and could result in hefty penalties. Cash Discounts are allowed in all 50 states of the U.S. The cash discount program must be registered with the card brands and use an approved system for processing. If your credit card is valid, a business may not limit the size of a purchase on that credit card. A car dealership would be a good example. If you want to buy a car on a credit card to get your rewards then the dealer must accept the purchase. ​All transactions must be authorized by approved equipment or thru a call center. Failure to do so could result in instant chargebacks. A good merchant services provider will make sure that your equipment does this automatically for you. ​All merchants must look at a valid ID regardless if the card is signed or unsigned. This change was put forth just a few years ago, and not checking ID is a violation of terms. If a valid ID is not shown, the credit card should not be accepted. Credit card transactions are limited to the services rendered so businesses can require that tips are paid in cash. For example, at a nail salon, the tip line is not printed on the receipt so tips will be cash vs credit card. ​If you decide to accept credit cards as a business, you must post adequate signage to inform the consumer. Your merchant service provider should provide you with free signage. ​Merchant must honor all valid card types they decide to accept and post the appropriate signage. Many business owners accept American Express but decide not to post the sticker. This is a rule violation. For each card that you accept, correct signage must be displayed at your business. Do you ever feel like you can’t get a grasp on where all of the credit card processing fees are going that make up the 3-4% you’re paying to accept payments? With a better understanding of how the game is played and how each entity benefits, let’s look at some of the incidental fees that may be associated with credit and debit card processing. These are the credit card processing fees that a business owner will need to negotiate when setting up a merchant account. These fees are often hidden in fine print and buried in legalese to make them difficult to negotiate. The harder these are to find and see with any certainty, the more money a processor stands to make on your account. The discount rate is the percentage paid by merchants to the credit card processors. The discount effective rate can range between .05% and 3% depending on the type of card being used. Debit cards usually cost a merchant much less than credit cards, and account for more than fifty percent of all transactions worldwide. Since a debit card is always backed by money that already exists in the consumer’s bank account, there is little risk and therefore a lower fee. This is the fee or per item charge every time a card is swiped. Many times, the per item fee can cost more than the discount fee for a small business if the average ticket is very low. Let’s use a Taco shop as an example. The average ticket is only six dollars so when a per item of twenty cents is charged it adds over 3.3% to the bottom line. If a furniture store has a $1000 average ticket, then a twenty cents swipe fee only adds .02% to the overall bottom line. The batch is the second step for processing a credit card. At the end of each day a merchant reviews all the transactions and then batches the point of sale device. Once this happens the data is transmitted to the acquirer to receive payment. A batch usually ranges between $.05 and $.25 per occurrence. If you have multiple terminals or point of sale systems then each one usually batches separately each day. Businesses that are PCI compliant adhere to the Payment Card Industry Data Security Standard, a set of requirements for organizations that handle cardholder information for the different credit or debit card types. Credit card processing fees usually range from $6 to $25 monthly or can be billed annually from $99 to $199. PCI compliance can be very difficult for the merchant and needs to be filled out once a year. Processors usually charge a non-compliance fee that can range from $20 to $30 a month if the merchant doesn’t adhere to the guidelines set be the payment depots. A statement is a written record prepared by the processor each month. This shows all the transactions as well as credit card processing fees paid by the merchant. Many companies have gone away from traditional paper statements and allow merchants to look at the statements electronically. They say they do this to save trees, but instead it’s because they would rather merchants not look at a statement that comes in the mail each month. Out of sight out of mind. The fees range from $5 per month to $20 per month. Some processors charge an extra fee for online payment access. An annual fee is a yearly fee charged by the processor for use of their product. Many processors charge anywhere from $99 to $199 per year. This is simply a money grab for many processors. They have decided if they add this fee for no reason they can just add to their bottom line. Imagine if a processor has one hundred thousand customers and charges them $100 per year as an annual fee. They make an extra 10 million dollars per year. Look for processors that don’t ad in this miscellaneous fee when searching. A monthly minimum is a fee charged for not accepting enough credit cards in a given month. Since the processor wants to ensure they make enough money each year from merchant account fees, they add this in for all merchants. This usually ranges from $25 to $35 a month. If you do not process any cards in a given month you could still pay upwards of $50 in fees because of the monthly minimum and various other monthly fees. This fee is added regardless of any current fees for card readers, pos systems, pos software or any payment gateways you might also have a monthly fee for. This are cancellation fees for breaking your merchant service contract. Many processors lock customers in to three, four or five year contracts and then charge a fee for leaving early. They even will auto renew the account if you don’t give them advanced notice. These termination fees can range from $250 to thousands of dollars. Thousands of dollars sounds like a lot but make sure to look in the fine print. When they charge estimated damages it’s the credit card processing fees you would have paid for the amount of time left on the contract. Always look for a processor that has no early termination fee. The card networks charge certain non-negotiable fees that are passed through to the merchant, such as the FANF. When you see these credit card processing fees on a statement they are just passed along by the processors. They are not usually marked up. If you have an e-commerce or telephone order business, beware of the AVS fee. It will be charged on every single transaction for entering the extra data because of non-swipe. For retail businesses that occasionally key-in card information, you don’t need to worry about it as much. A voice authorization is a fee for calling in a credit card number. If your point of sale system is not working properly and a merchant needs to get an authorization, this method is usually used. Every time a customer initiates a dispute on a charge from your business, it sets into motion the chargeback protocol. This retrieval request is the first step. The fee covers any expense related to the retrieval request. This is very similar to a bad check fee. In baseball, 9 players take to the field to play defense when the other team is up to bat. The goal is simple. Position your 9 players in the most advantageous spots on the field where the batter is most likely to hit the ball. If the batter is a right-hander, you shift your outfield to the right since most hitters are late to the pitch. The same goes for left-handed batters and so on. In the credit card processing game, there are multiple pricing models that companies put into play to catch unsuspecting business owners. Some are more effective than others, but a savvy business owner will become educated on the models and pick the most advantageous for their business. Below we are going to take a look at the different pricing models that come with a merchant account. We’ll compare these models so that you can make an informed choice when setting up your merchant account. The first of the conventional processing models is the interchange plus pricing model. In this model, the merchant pays true cost on all credit cards and then a markup set by the processor. Here’s a real life example. A customer comes into a business and swipes a rewards credit card. The interchange cost of this card is 2.2% plus $.10. With this model, the business owner pays the 2.2% plus $.10 and then pays an extra 20 basis points and $.06 per item. This 20 basis points and 6 cents per item is the processors profit. Interchange profit can range from one basis point over cost to hundreds of basis points over cost. These are the markup fees included in the payments processing contract. For this particular transaction the merchant actually pays 2.4% and 16 cents for the transaction. This is the best of the conventional pricing models unless your business has very low volume. Less than $2,000 per month in credit and debit card purchases is best served with another model. The second conventional pricing model is called tiered pricing. This is the oldest type of processing model and has been around since the inception of credit card use. Tierd pricing is the most expensive model available to the business owner. Here’s the problem with the tiered pricing model. There is no such thing as a qualified or non-qualified credit card. Visa, Mastercard, Discover and American Express have not issued any statements concerning whether a card should be qualified, mid-qualified or non-qualified. These tiers are completely made up by credit card processors in order to hide fees and make more money on your account. If you are currently using a tiered pricing model to accept credit card payments, you should switch to another model immediately. You’re losing too much money to your current processor who is taking advantage of you. Here is an example of what a tiered pricing model looks like. If we take the card from the above example, it would most likely be rated as a non-qualified card. Rewards cards usually have higher interchange rates, so lumping them all together into a non-qualified bucket means more money for the processor. Tier three usually ranges from 3% to 3.5% and has a per item cost of $.20 to $.30. If your business was using this model to accept this card as payment, you would be paying half a percent to 1% more than the interchange pricing model. Many processors use this model as a bait and switch tactic. They come to your business and offer you a 1.29% rate for all qualified cards, but never tell you the cost of mid-qualified and non-qualified cards. Since the processor is the one who determines which cards fit into which tier, you’re playing a game you can’t win. It’s like trying to play a child’s little league team against a Major League ball club. There’s no way that you’re going to win with this one. Tiered pricing models are about as hard to understand as the fees and rates of online brokerages and life insurance payout percentages and schedules. Unless you are a master of the fine print and dream about mortgage rates, accounting software and loan calculators in your sleep, this is the primary pricing model to avoid. If the fine print of business loans, personal loans, student loans and balance transfer spreadsheets get you excited, we’re not ones to hold you back from your dreams. The third conventional pricing model is called flat rate. Pay Pal is a good example of a company that uses a flat rate pricing model. They may charge a flat fee of 3.1%. These processing rates includes all credit card processing fees. This can be a great pricing model for businesses with a very low average ticket. We would recommend this model if you average $5.00 or less per transaction or if you process less than $2,000 per month in credit cards. If you have a higher average ticket above $5 or process more than $2,000 in credit card payments, a flat rate model isn’t the best choice for these business types. Membership pricing is a newer pricing model that has been making the rounds in the past few years. This model has its advantages for the right type of business. With membership pricing, the business owner pays a monthly or annual membership fee to their credit card processor. These fees can range monthly from $29 to $59 or annually from $199 to $499. Once the business pays the membership fee, it will allow the business to receive an interchange pricing model at zero basis points of cost. Zero basis points is the lowest that any business can possibly pay on their percentage. A small swipe fee (or transaction fee) is added to all transactions and can range from .03 per item to .25 per item. The exact cost of the swipe fee usually depends on the merchant’s annual volume and average ticket size. 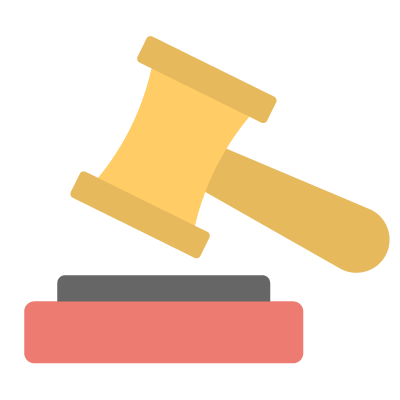 Membership pricing is especially good for businesses that have very high average tickets like law firms or furniture stores. This is a very transparent pricing model. One thing to be aware of with the membership pricing model is that some credit card sales companies may hide extra percentage points in the interchange to get a higher profit from the account. This is something that needs to be explained clearly before you sign on the dotted line. If we’ve learned anything from the meteoric rise of bottled water sales, it’s that consumers will take the most convenient route given to them. In credit card processing, when the business pays the credit card processing fee, consumers want the rewards and will almost always decide to pay with plastic. When faced with the actual cost of those rewards, consumers are faced with a decision. When the account fees are pointed back to the consumer, each person has to ask if the reward they’re getting outweighs paying the fee. If the consumer wants their rewards bad enough, they will pay with a credit card for the convenience and pay the fee. If they don’t want to pay the fee, they’ll select another payment method and receive a cash or check discount. With the zero fee pricing model, the fee for processing a credit card falls back on the consumer. This is the fastest growing type of merchant service account. With this model, the business owner can gain back all of the money lost to credit card processing fees each month by passing the fee back to the consumer. As business owners checking accounts and savings accounts grow with the extra revenue, the zero fee program grows in popularity. If you currently don’t take credit cards because of high fees, this model is perfect for your business. If you’re tired of paying fees that amount to more than $10,000 per year of lost profit, zero fee processing might be just the solution you’ve been waiting for. So what are the best strategies for winning the credit card processing game? Like any game, there are some best practices to up your percentage of winning this game that you didn’t even sign up to play. Only you as a business owner will know if this is a good strategy for your business. It’s quite lovely that you skip paying the 2 to 4 percent in fees each month and take a large bill off the table. The question is at what cost? The statistics are clear on a couple of things. #1. Consumers will spend 12 to 18 percent more when they can pay with a credit card. #2. 66% of all purchases made in person are done with a credit card. #3. Over 90% of purchases made online are accomplished with a credit card. Will it be hard to build your business with only a third of the available customer base? This is the strategy that the card issuing banks have come up with. They know that businesses want customers, and if enough customers come in demanding that they be able to use a certain type of payment, the business will eventually cave and fall in line. This strategy benefits the card issuing bank and the consumer, but all of the payment for the rewards and fees fall squarely on the business owner. If you stick with this strategy, you’re certain to continue to lose. You’ll be the minor league team always trying to get up to the majors. If you’re going to stick to this strategy, the best option for your business is to get ahold of a merchant processor that does true interchange pricing. The price of each card is clearly spelled out and the processor is upfront about how much they get of each transaction. This is the most recent strategy being used in the game. Ticketmaster has built their entire strategy on the idea of charging a service fee to their customers, and now this has become available to every business owner on the planet. As a merchant, you can incentivize the customer to pay with a method of payment that doesn’t incur a fee for that payment type. You can institute a cash discount program where customers who pay with cash get a discount while all other customers who decide to pay with a credit card are presented the option to pay the fee themselves. Transferring the fee from the business owner to the customer makes this model one of our top picks. This strategy gives business owners back the power over the issuing banks who have been sticking the local business with fees for years. The business places signage on the door and at the point of sale explaining the program, and the point of sale takes care of the rest. For each person wanting to pay with a credit card, they will be informed at the terminal that they will be subject to a service fee if they decide to pay with plastic. The customer is left to decide if they want to pay the fee or pay with another method of payment. Using this strategy gives you as a business owner control over how much you pay to accept credit cards at your business. With Zero Fee Processing programs, the business owner pays nothing for any credit card fees while still accepting credit cards at their locations. Business owners have been playing a game that is stacked against them for years, and it’s time we turned that around. By educating business owners on the moving pieces behind the scenes, we as leaders of our organizations can take back control of our merchant processing accounts. Deciding which strategy is the best for your business is a decision that only you can make, but armed with the information provided above you can make the best decision for your company. Don’t just assume that your credit card processor has your best interests at heart. If your processor is your bank, especially take notice of what you’re paying to accept credit card payments for your business. There are reputable credit card processors out there who aren’t hiding fees and overcharging for equipment. It’s up to you to find one that works the best for your business.